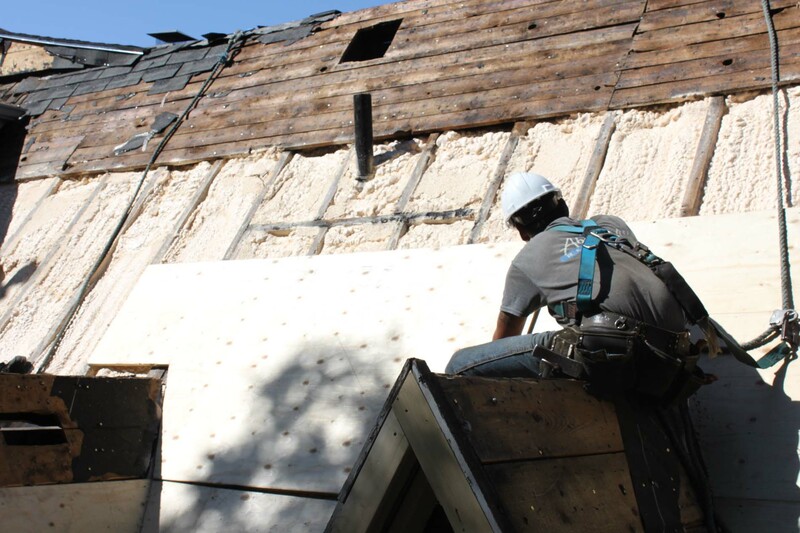 Cellulose insulation is made from recycled newspaper that is treated with the safe fire-retardant boric acid. We strongly prefer blown-in cellulose over fibreglass primarily because of its superior thermal performance.demo The higher density of cellulose insulation minimizes air and draft infiltration in walls and attics, thereby maintaining the required R-value of the insulation even at very cold temperatures. The boric acid used as a fire-retardant also deters vermin such as mice, squirrels, and raccoons, and will not allow the material to become mouldy if it becomes wet or damp. Cellulose Insulation being blown into attic to R-50. Completed R-50 cellulose insulation with cardboard air-flow chutes installed at eaves edges.